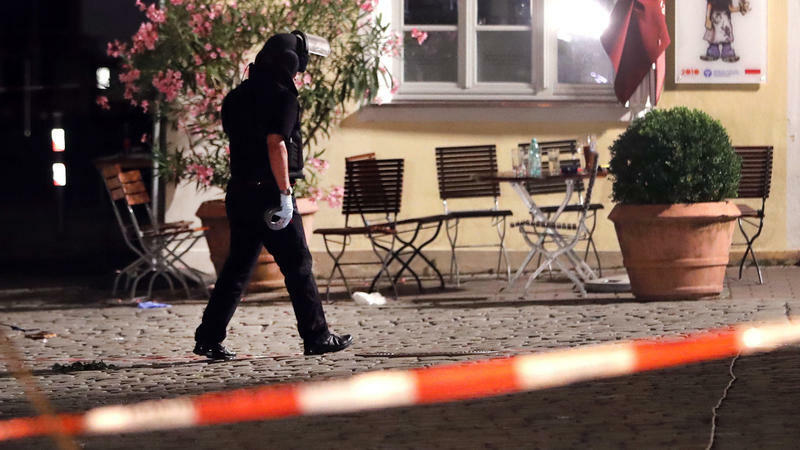 A Syrian man whose asylum request had been denied by German officials used an explosives-laden backpack to kill himself and wound 12 other people near a concert in southern Germany. Should PBS Have Shown Old Fireworks Footage In Its July 4th Show? 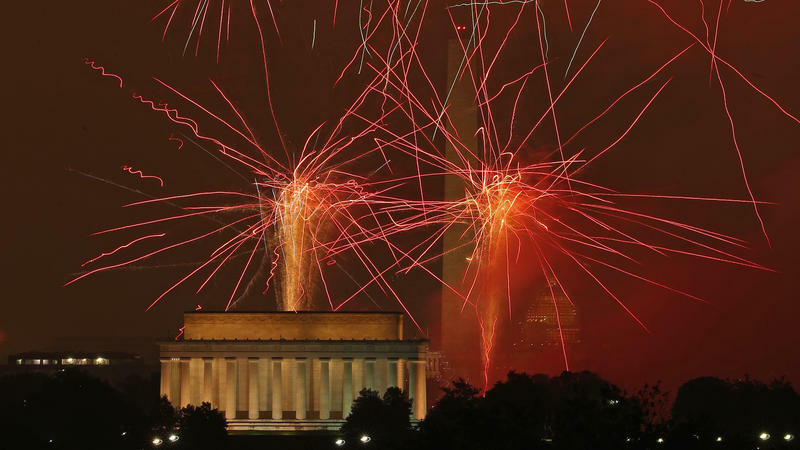 After being called out for editing its live broadcast of the fireworks in Washington, D.C., to show fireworks bursting in clear air — on a night in which the weather was dominated by fog, low clouds and misting rain — PBS called it "the patriotic thing to do." A wildlife hospital in Britain had no trouble spotting — or smelling — this patient. 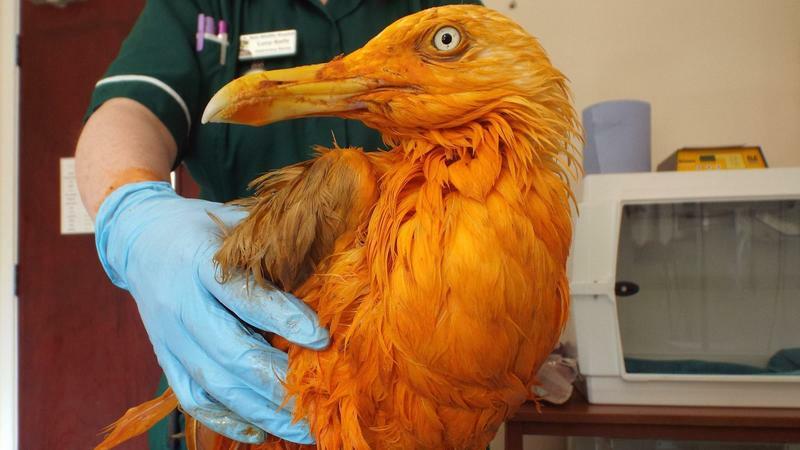 After all, the sea gull had doused itself in a vat of chicken tikka masala. After an exam, two findings emerged: The bird would be fine, and "boy did he smell good!" The Mars candy company brought M&M's to Sweden in 2009. 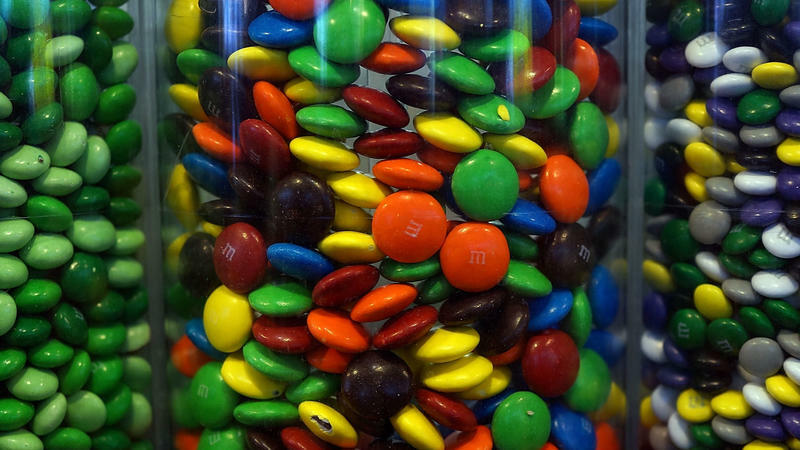 But the country already had a famous chocolate candy marked with an M — and now a court says M&M's should melt from the market, owing to a trademark infringement. The case pitted Mars against Mondelez International, which uses its Marabou label to sell M-marked chocolates that it calls Sweden's "all-time favorite." 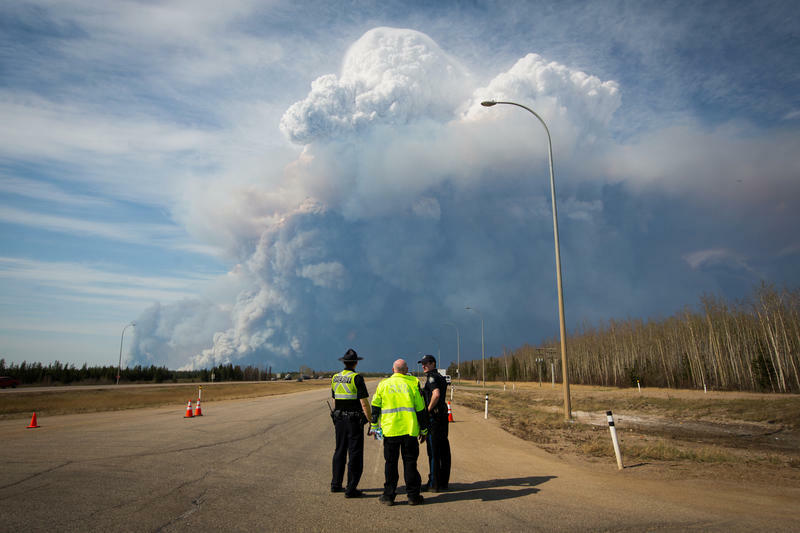 Some 80,000 residents of Fort McMurray who have fled the wildfire raging in Alberta, Canada, are now hearing that the fire has destroyed 1,600 homes and other structures. The province is now under a state of emergency; areas around Fort McMurray are also under a boil-water advisory. 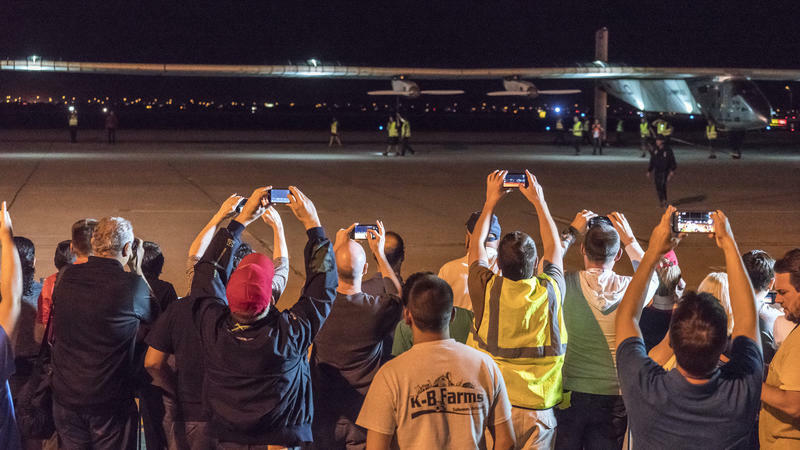 The Solar Impulse 2 landed in the Phoenix area Monday night, welcomed by spectators at Goodyear Airport as the plane's pilots continue their quest to be the world's first solar powered airplane to fly around the Earth. The 745-mile trip took nearly 16 hours — less time than expected, largely due to powerful tailwinds. 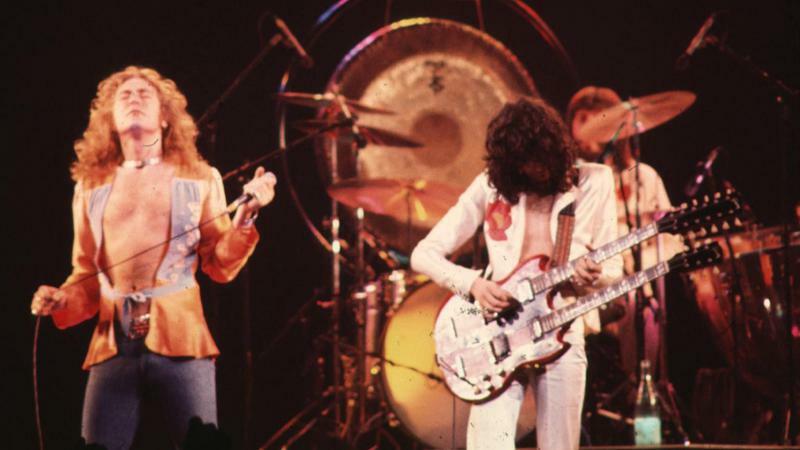 The plane reached a maximum altitude of 22,000 feet. 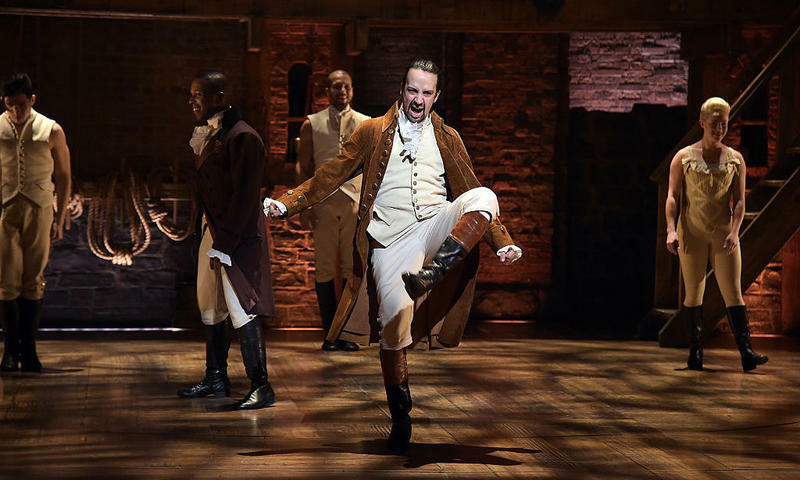 Hamilton, the Broadway musical about "the scrappy young immigrant who forever changed America" has made history, after being nominated for a record 16 Tony Awards. The nominees were announced today. Ballerina Misty Copeland, who made history when she became the first black female principal dancer at the American Ballet Theatre last summer, now has her own Barbie doll. The doll wears a costume similar to Copeland's for her Firebird role. After tens of thousands of votes, the pair of eaglets born in the National Arboretum last month now have official names. Freedom and Liberty won, beating out other options such as Stars and Stripes. 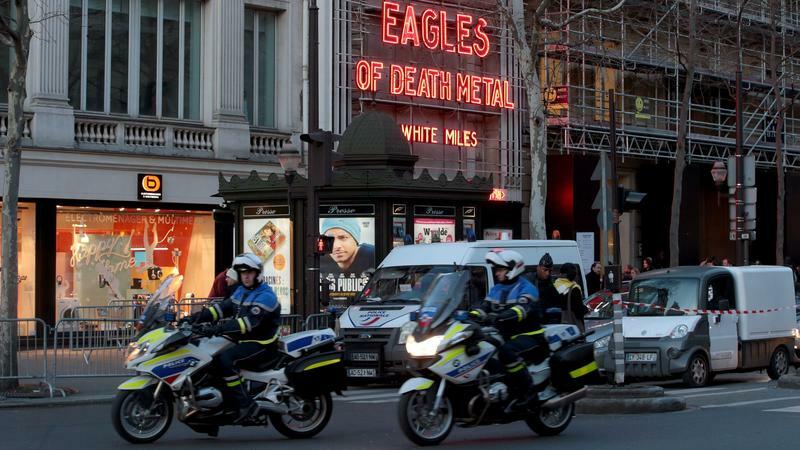 The eagles have been very popular. 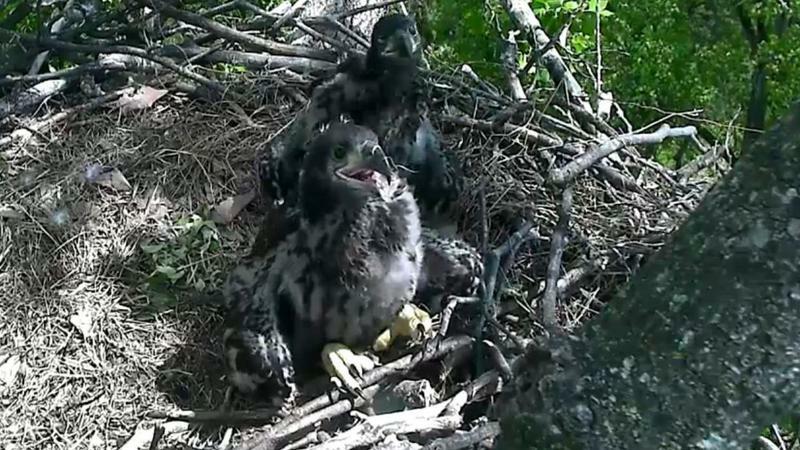 Since February, more than 35 million people have watched them progress from eggs to hatchlings to eaglets, according to the American Eagle Foundation, which set up cameras near the birds' nest in the arboretum in Washington, D.C. 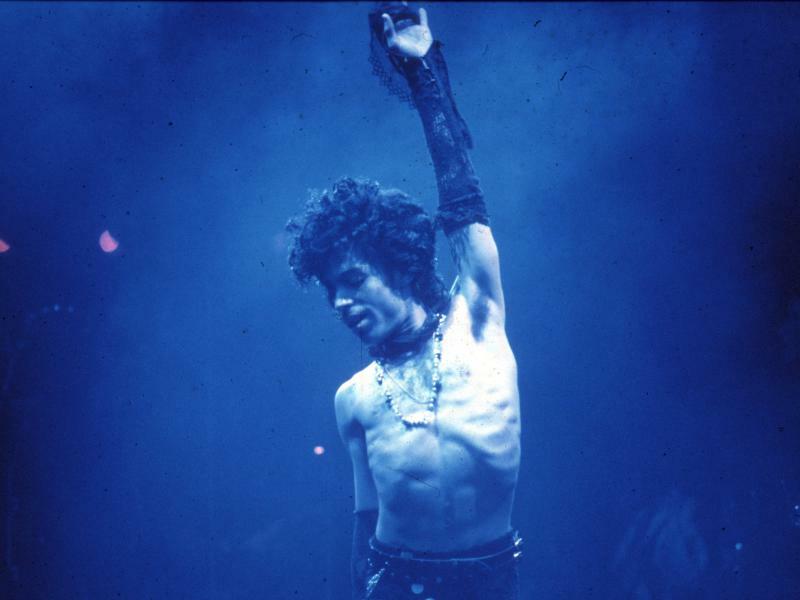 Prince — the Purple One, who reeled off pop hits in five different decades — has died at age 57. The shocking news was confirmed by Prince's publicist after reports that police were investigating a death at his Paisley Park compound outside Minneapolis. "It is with profound sadness that I am confirming that the legendary, iconic performer Prince Rogers Nelson has died at his Paisley Park residence this morning at the age of 57," publicist Yvette Noel-Schure said. 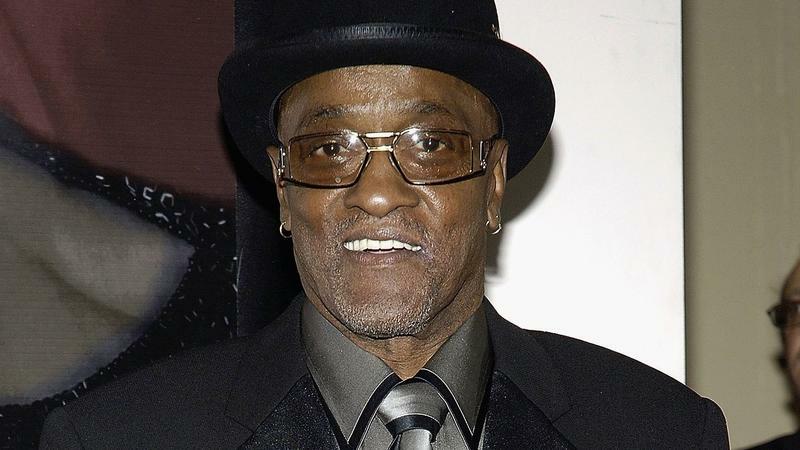 "There are no further details as to the cause of death at this time." It's a beer with a message — and its brewers say it's a simple one. 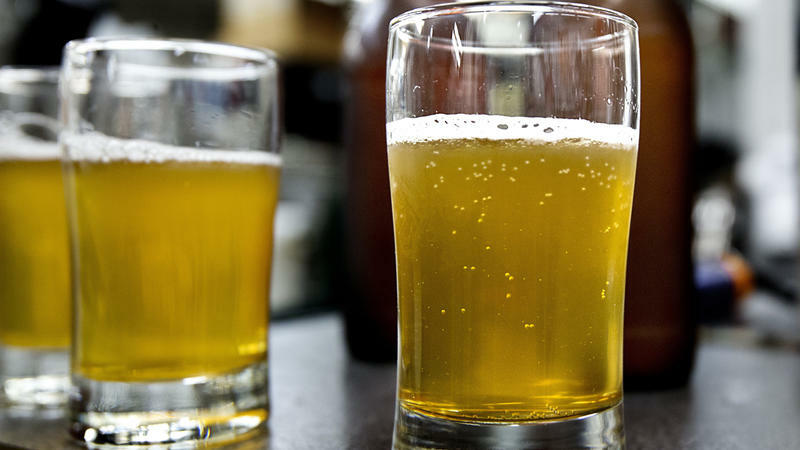 Responding to North Carolina's HB2 law that voids cities' anti-discrimination rules, two of the state's brewers are creating a new beer: the Don't Be Mean to People: A Golden Rule Saison. 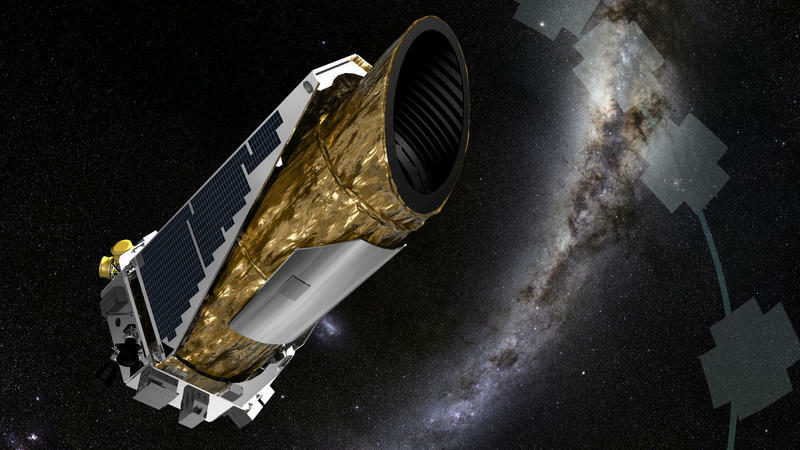 Days after they declared a spacecraft emergency over the Kepler space telescope, NASA engineers say the craft has now recovered and that they're working to figure out what happened. Kepler, which is currently nearly 75 million miles away from Earth, placed itself into Emergency Mode sometime in the middle of last week. But it wasn't until a scheduled contact on Thursday that mission engineers discovered the problem. That led NASA to declare a wider emergency, giving the mission priority access to communications through its Deep Space Network. 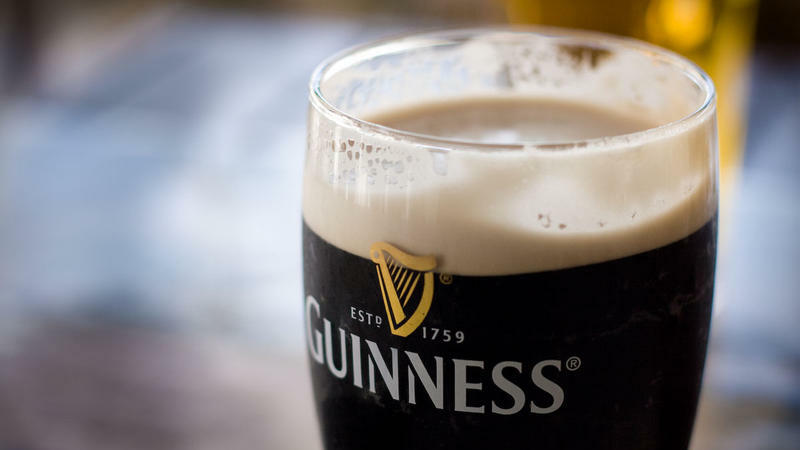 If you're planning to hoist a pint of Irish dry stout for St. Patrick's Day, the folks at Guinness have a polite request: Don't slurp the foamy head off their beer. It's essentially a nitrogen cap, they say, that's protecting the flavors underneath from being oxidized. St. Patrick's is a huge day for the legendary brewer – of the 70 million people who are estimated to be celebrating today, around 13 million will also drink a glass of Guinness. Anyone looking for a little peace and quiet on this Earth might think they'd find some at the bottom of the ocean. They'd be wrong. 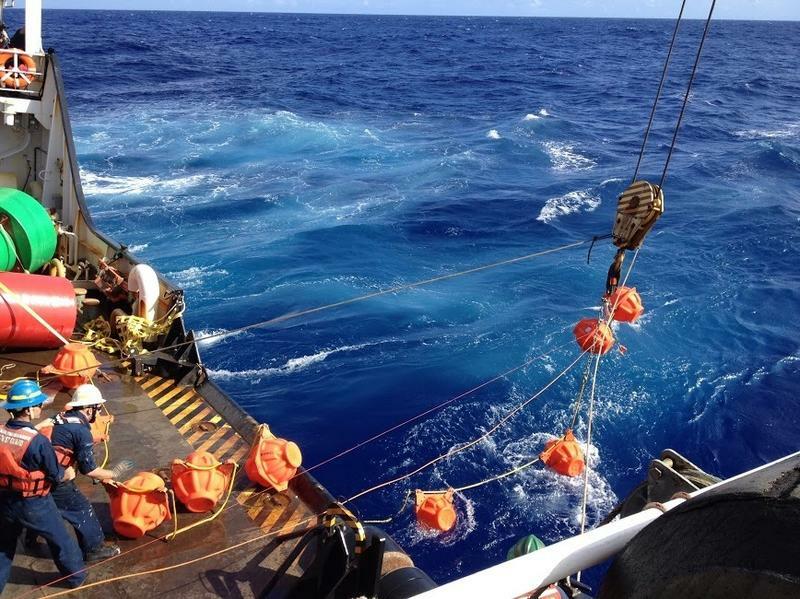 And so were researchers who didn't expect to hear much when they dropped a microphone 6 miles down into the Mariana Trench in the Pacific Ocean. 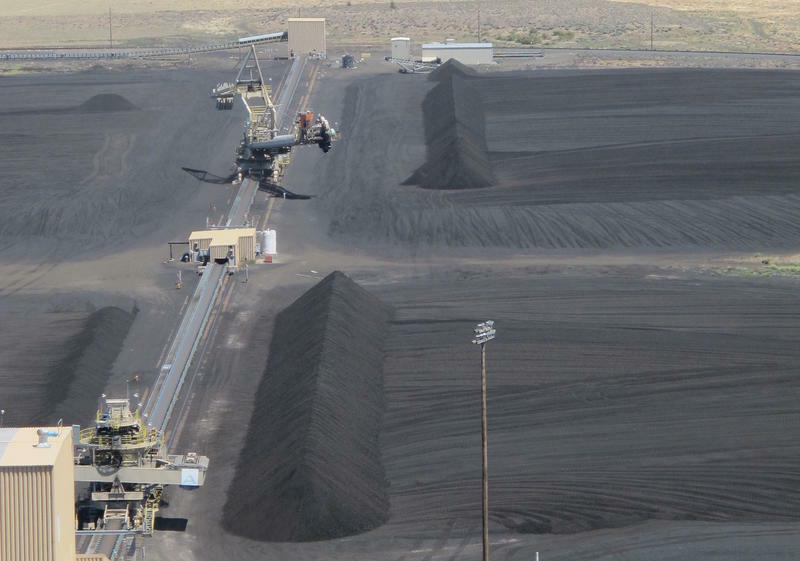 Oregon's biggest power companies will have 14 years to wean themselves from coal, under a new bill approved by lawmakers Wednesday. The measure has the support of Gov. Kate Brown — and the state's two largest electric companies. Several environmental groups have backed the bill, which calls for requiring large utilities to ensure that at least 50 percent of their power comes from renewable sources by 2040. Saying that it will finally do business in the country that helped inspire its approach to coffee, Starbucks has announced plans to open its first store in Italy early next year, venturing into the cradle of espresso. 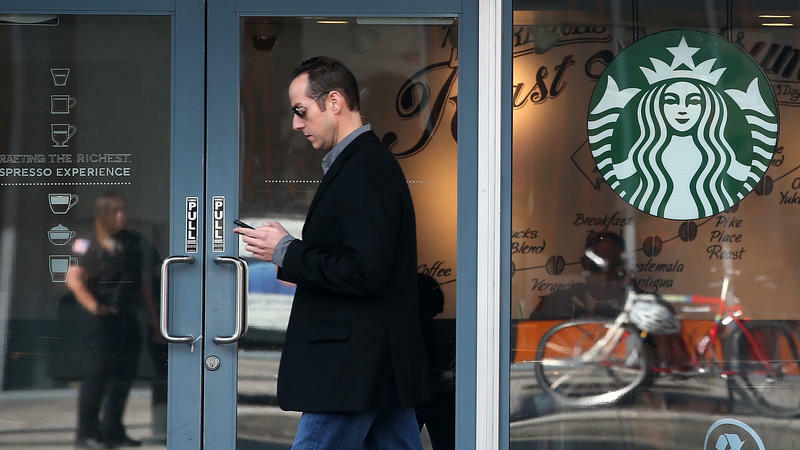 Saying that it is making the move "with humility and respect," Starbucks announced that its first store in Italy will be in Milan. 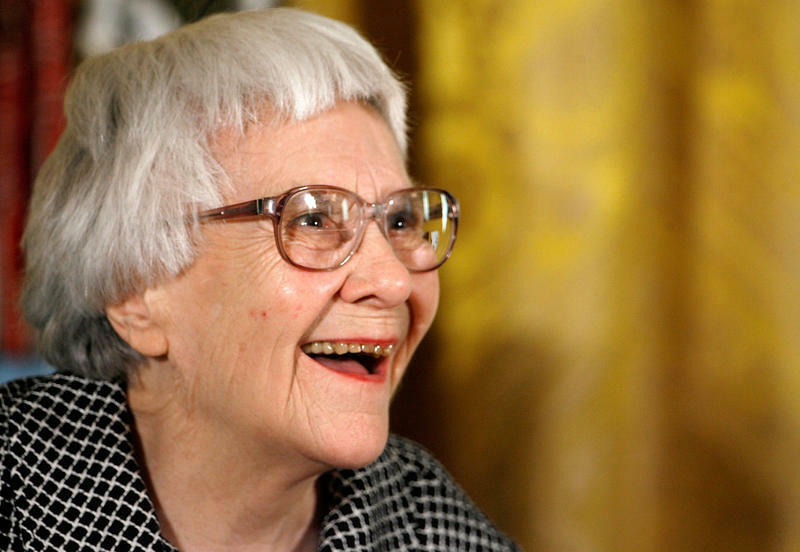 Harper Lee, the author of the classic novel To Kill a Mockingbird, has died in her hometown of Monroeville, Ala. 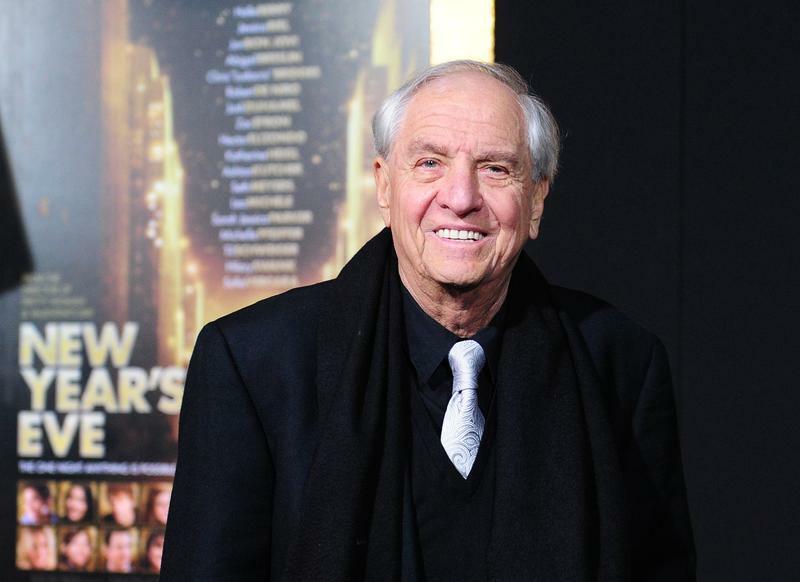 The Pulitzer Prize-winning writer was 89. 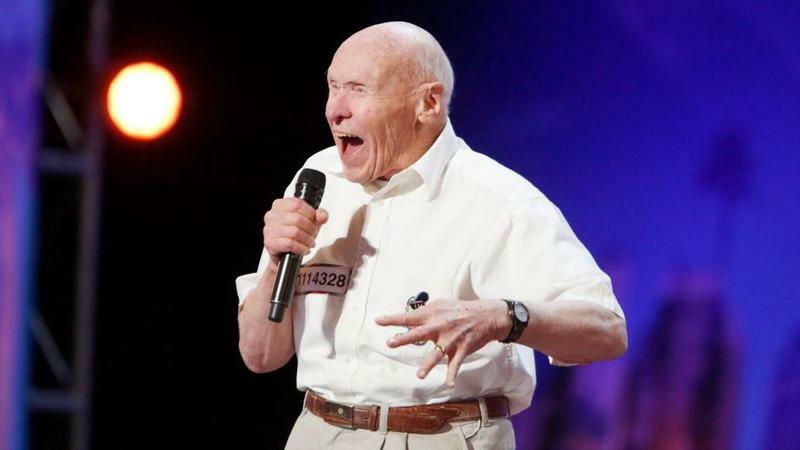 Monroeville city officials confirmed reports of Lee's death to Alabama Public Radio. Her publisher, HarperCollins, also confirmed the news to NPR. Her famous novel about a young girl's experience of racial tensions in a small Southern town has sold tens of millions of copies and been translated into dozens of languages. 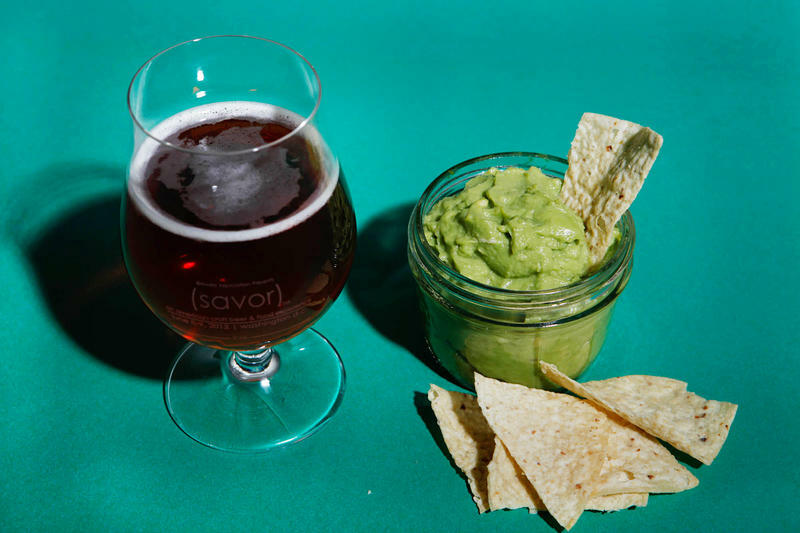 Which beer goes with guacamole? And which brew adds a nice clean, crisp finish to spicy wings? Those are burning questions for anyone who wants to take his snack game to the next level this Super Bowl weekend. And two craft beer experts who wrote the book on pairing have the answers. 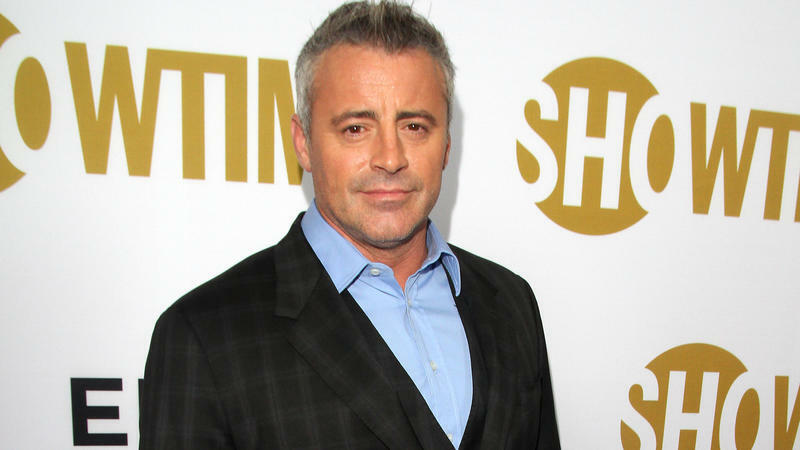 The British car show Top Gear will have a fresh central cast when its 23rd season airs in May – but many TV fans will see a familiar face on the show, which announced Thursday that it has hired Matt LeBlanc, the former Friends star, as a new co-host. Benoit Violier, the renowned 44-year-old chef of Restaurant de l'Hôtel de Ville in Crissier, Switzerland, has died in what police say has the look of a suicide. The authorities say they found Violier's body next to a gun in his home. 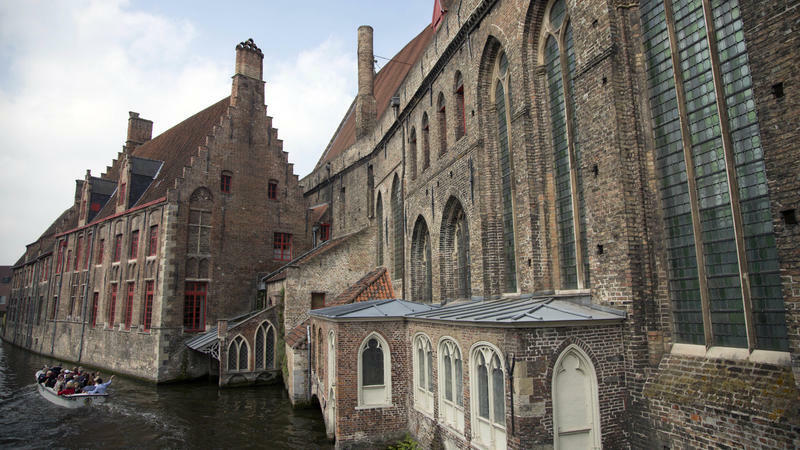 For years now, the Restaurant de l'Hôtel de Ville has won the coveted three stars in the annual Michelin restaurant guide. In December, it was named No. 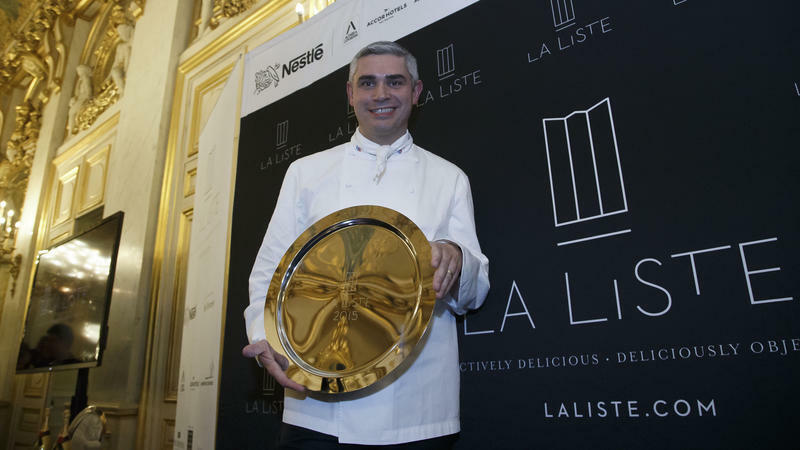 1 on La Liste, a French survey of the best restaurants worldwide. He traveled more than 900 miles across the Antarctic, attempting a solo trek that would also boost a British charity that aids wounded veterans. 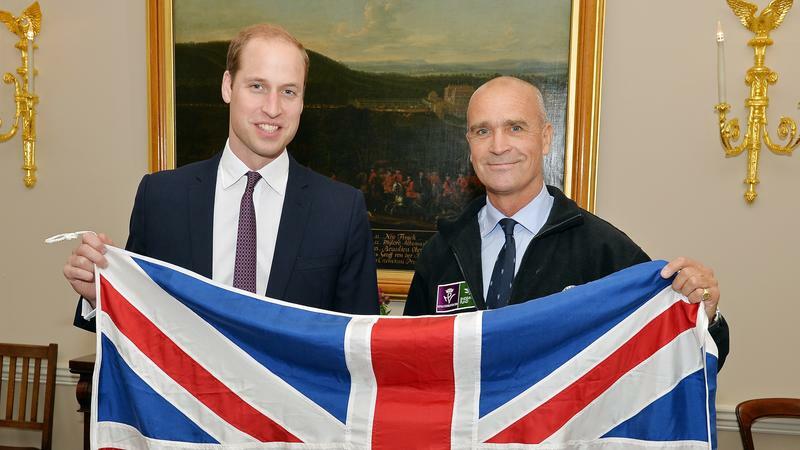 But explorer Henry Worsley was halted by exhaustion and dehydration that turned out to be fatal. Worsley, 55, had been attempting to complete the first-ever solo and unassisted crossing of the Antarctic landmass, timing the venture to coincide with the centenary of Sir Ernest Shackleton's 1915 attempt. 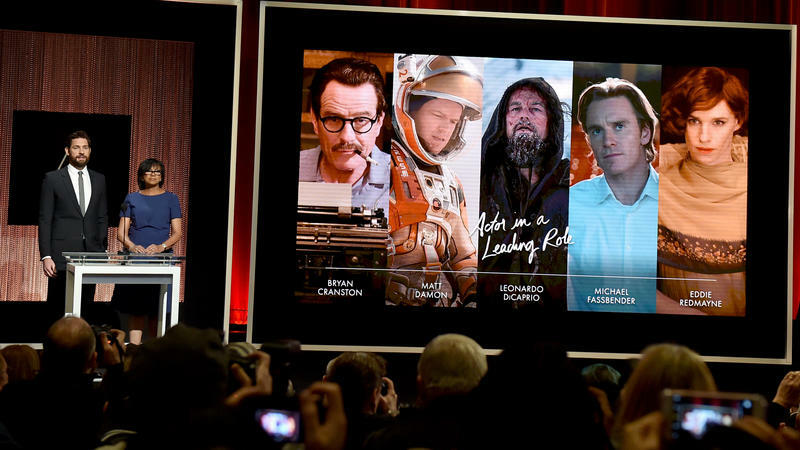 The competitors in the 2016 Oscars race were announced Thursday, in an event that was live-streamed from California. The winners will be announced on Feb. 28. British actor Alan Rickman, a veteran of dozens of films, has died at age 69. Recently, Rickman was most well-known for portraying the complicated villain Severus Snape in the films based on J.K. Rowling's Harry Potter books. "Rickman had been suffering from cancer," The Guardian reports.